Louis Vuitton took its Resort 2017 show into a fantastical display of architecture and fashion within the Brazilian wanderlust of Rio de Janeiro. 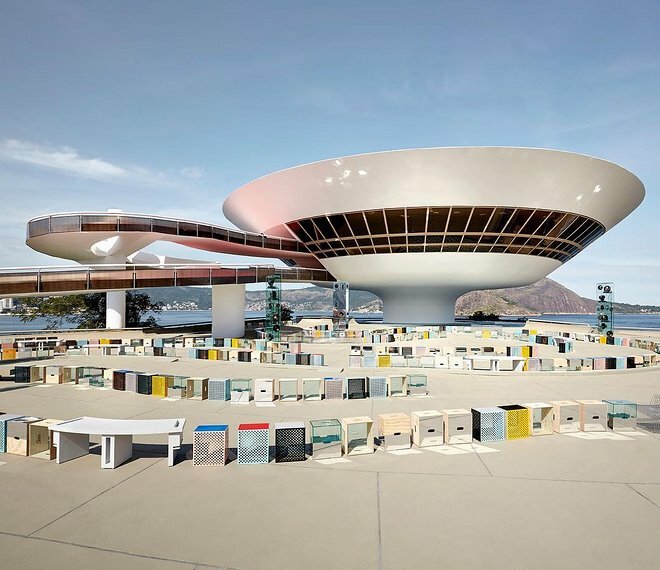 The setting took place at The Niteroi Contemporary Art Museum, a minimalist masterpiece designed by Oscar Niemeyer. Models strutted down the long colorful ramp in Nicholas Ghesquiere's collection of bold primary colors in sportswear detailing and fitted silhouettes.